Happy #WorldOceansDay ! Today, 8 June, individuals and organisations the world over are celebrating our beautiful oceans and raising awareness about the need to care for them. This could begin by taking little actions like refusing to use a straw when you order a drink. Or signing up to volunteer with an awesome marine organisation. I’m about to finish up an (almost) 6 month stint with the penguins at SANCCOB (Southern African Foundation for the Conservation of Coastal Birds) and it’s the best feeling knowing that I’ve been able to make at least a small contribution towards preserving our natural world. And (drum roll PLEASE) I’ll be heading off on another travel adventure in September (WOOOO!!) 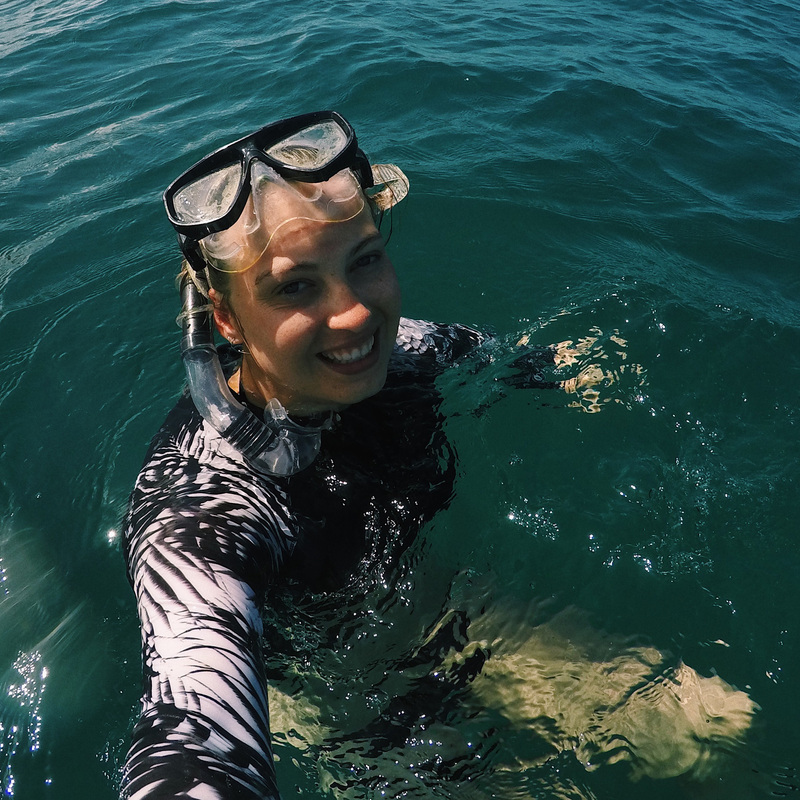 to volunteer with sea turtles and Lemon sharks (WOOHOOOOO!!) on a teeny tiny island in the middle of the Seychelles (!!!). I’m so excited (can you tell?) to further immerse myself in the wonderful world of marine conservation. It’s no secret that I’m a water baby, a self-professed beach bum. I’ve always felt a pull towards the ocean (even during the epic storm in Cape Town yesterday I couldn’t help but take a drive to Sunset Beach and sit in my car and watch as the giant swell surged towards the shore) and the thought of living in a landlocked area literally makes me claustrophobic. If you’ve been following my blog and reading my posts for some time now, you’ll know that I’m particularly enamoured by the beaches of Plettenberg Bay. The area has 11 beaches and four of them (Hobie, Central, Lookout and Robberg – all of which feature in this vid) are Blue-Flag Beaches. This means, in a nutshell, that they’re AHHHHH-MAZING. Each one has a unique quality (whether it’s the waves of Hobie beach that are perfect for body-boarding, or the Pansy shells that can be found at low tide on Lookout) and anyone who visits Plett frequently undoubtedly has a favourite beach and a million reasons that that one is special to them. My favourite is Keurbooms beach – it’s less busy and I’m in awe of the prehistoric-looking rock formations that dot this length of beach and glow in the golden light of sunset. It tells a story of the myriad textures of Plett’s beautiful beaches. And features some of my excellent animal-whispering skills (sometimes I think I’m the lady version of David Attenborough in the making and imma just roll with that). The rocky formations of Keurbooms Beach, set a-glow by the golden light of the setting sun. Sunset walks with family on a relatively quiet stretch of beach always make me super happy. While I’m excited to share this video (and add a new creative element to this blog), I also woke up to some sad news this morning which I wanted to share as it involves the Plett area. Yesterday, a fire was started in the beautiful town of Knysna (which is a half hour drive from Plett). It burnt all day, all through the night and most of today, too. It’s still not entirely under control. Earlier today, the blaze spread to Plett and this afternoon Knysna was declared a disaster zone. Hundreds of homes burnt to the ground, tens of thousands have been evacuated, telephone and electricity lines were down making communication almost impossible. I’m completely devastated by this news. Plett, and the greater Garden Route area including Knysna, holds a very special place in my heart. So many have now lost so much. But, individuals and businesses have come together in a BIG way to aid all those in need (from residents who have been displaced to firefighters battling the blaze as well as lost and distressed pets and wildlife). If you’d like to keep up with what’s going on, or get involved in some way visit the Facebook pages for Knysna Fires 7th June and Plett Fires 7th June. Whether its in honour of our oceans or for those affected by disaster, it’s amazing to see the positive things that can be done when communities selflessly come together to help others.